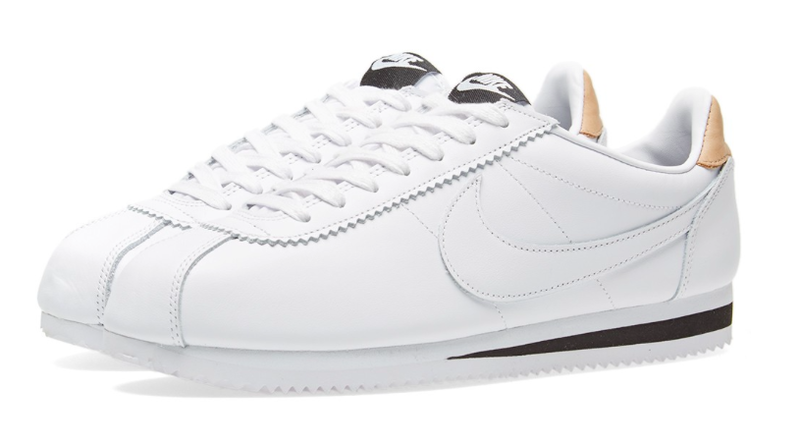 The time of year when white sneakers region supreme is upon us. 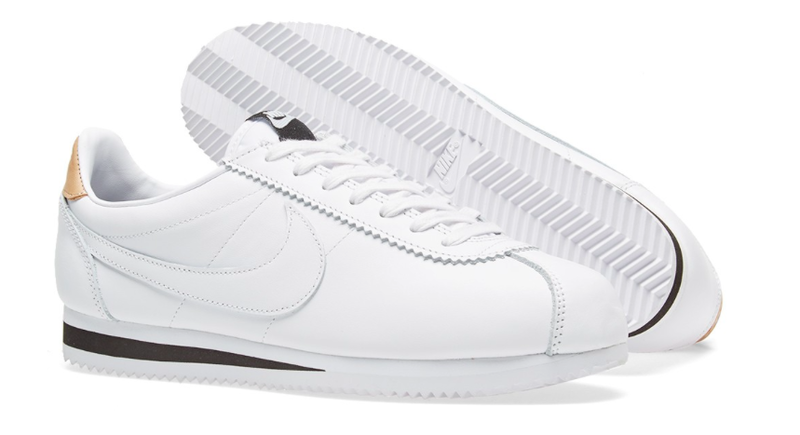 Here is a classic redone crisp and fresh from Nike for the season. 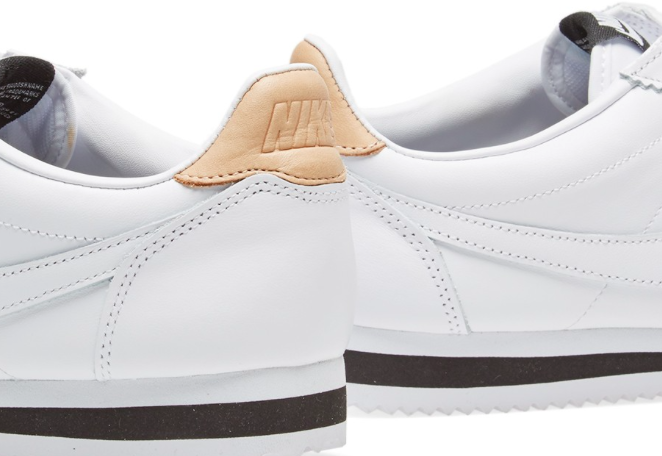 The Classic Cortez Leather SE Sneaker is a nice take on a classic Nike silhouette in a clean color way that can be paired well with everything Summer. 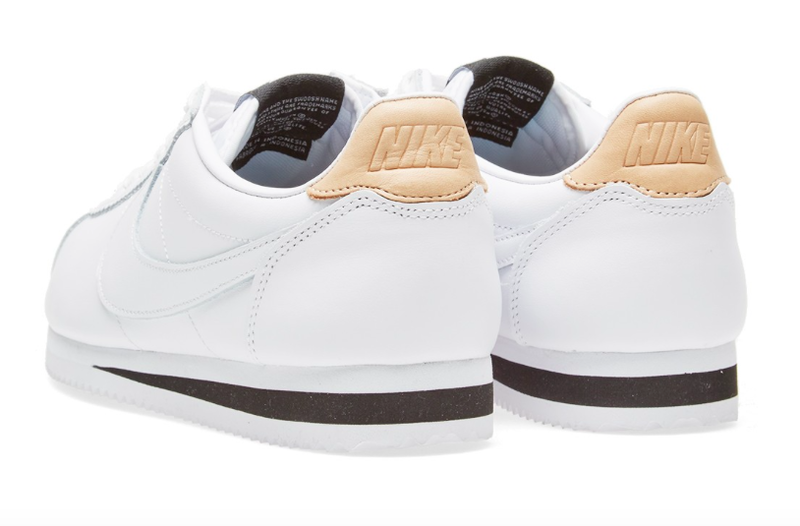 The upper is a buttery white leather with minimal black detailing on the tongue and sole and a pretty sweet Vachetta tan upper heel guard. White and tan are the perfect launching pads for Summer's bevy of color and print and in this cozy seasoned silhouette, it'll make that outfit all the more cool. Available now at EndClothing.com. for a great contrast, best combined with socks that are ultra-glamorous. That would make a striking pair with totally opposite shoes and socks worn together - not for the workplace though!